The Suez Canal owes its birth to the vision and courage of De Lesseps and by his achievement he brought the Far East nearer to the West. Few men have achieved as he did in face of such over whelming odds and few men with such a record of success have died in such poverty and disgrace. Born on November 19, 1805 at Versailles, he followed the family tradition as he entered the consular service in 1825. It was on his way to Alexandria that he first got the idea of building Suez Canal. It was also a stroke of luck to become friendly with Mohammed Said, son of Mohamet Ali, the great ruler of Egypt. 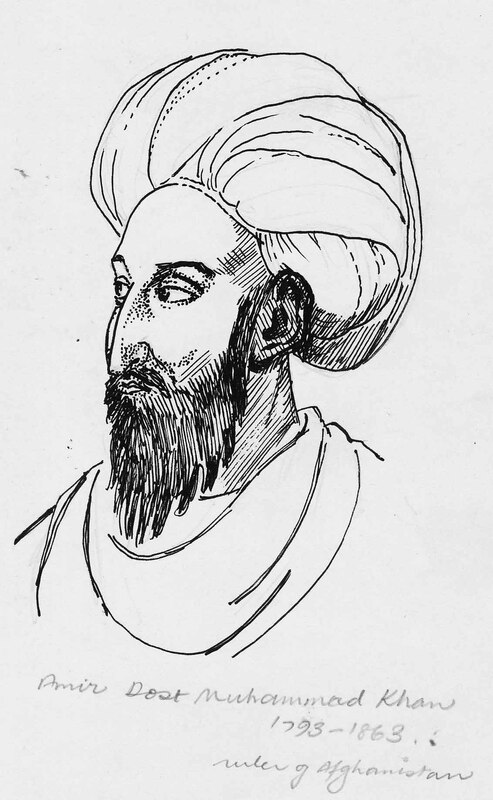 After more than twenty years when Mohammed Said became the ruler De Lesseps was invited to visit him at Alexandria. He arrived there on November 7, 1854. His personality and persuasion finally convinced Said Pasha that he agreed for the project Suez Canal. What followed was a sordid diplomatic intrigue to scuttle the whole project. England’s Palmerston, told De Lesseps he regarded the Canal as a French attempt to interfere in the East and was ready to move heaven and earth to stop the Canal being built. Palmerston’s government tried to bring the Sultan of Turkey as overlord of Egypt to their side. De Lesseps however went ahead with the project. The rights were obtained and a company was floated in Paris and on April 25, 1859 the first blow of the axe was given by De Lesseps at Port Suez. When Said died in 1863, Ismail, who succeeded him, caused him much uneasiness. Largely through the efforts of Britain, the practise of using forced labor was stopped. At the outset it had been estimated that 8,000 men would be needed. Soon it swelled to a number of 40,000 and at one time there were as many as eighty thousand at work, the bulk of these wielders of pick and spade were Egyptian Fellaheen. For two years the work was held up: As forced labour was discontinued De Lesseps decided to go ahead with the project using machinery. At last, on November 16, 1869 the Canal was formally opened. Shortly thereafter ships of all nations were sailing through the Canal; for the Canal shortened the voyage from London to Bombay by five thousand miles. What was Britain’s fears were laid at rest when Disraeli in one of the briliant coups got control of the Canal. If De Lesseps had stopped with the suez Canal he might have passed his last years in happiness instead of disgrace. When the Geographical Society of Paris decided in 1879 to construct the Panama Canal, De Lesseps was designated head of the enterprise. Work was begun in 1881 and went on for eight years during which about 50,000 lives were lost through malaria and yellow fever. De Lesseps now old and confined to Paris, most of the time did not have complete grip of the problems facing the company. Besides his project was at fault. He had determined to build the canal without locks, against the advice of his engineers who concluded that the Culebra and the Chagres, the mountain and river that barred his path, could not be overcome in any other way. In 1888 the company went bankrupt for £ 80,000,000. It was estimated only one third was spent on the canal, one third wasted and one third stolen. Thousands of investors were ruined. In the face of a full-blown scandal the French government was forced to institute an enquiry. 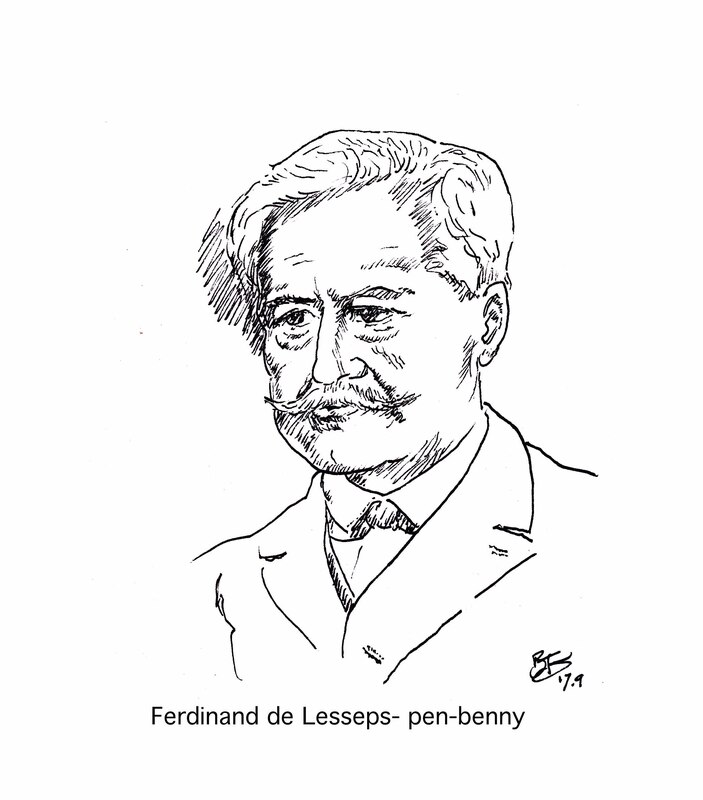 De Lesseps was sentenced to five years imprisonment and fined; but the sentence was suspended. He died on December 7, 1894 in his ninetieth year. In not so distant future one might think a new shipping lane cutting through North West will obviate the importance of Suez Canal. From Far East vessels will cut through Arctic circle taking advantage of melting ice. (selected from the Adventures of Open End. Open End was a pirate who only wanted a piece of the action at a time when the kings of Old Europe thought the Americas was ready for plucking. There was so much gold and silver over which no one had any exclusive rights, divine or otherwise. The Divine Rights that Europe touted in their domain didn’t extend there. Open End saw so much wealth and exclaimed, “I have needs therefore I exist.” Philosopher Descartes could not have summed it more succinctly. Only after he said ‘yea’ to free enterprise did he realize all he deserved for his pains was a rope from the yard arm. Well he knew how to play the game while the Kingdoms of this world played the Great Game. …While Queen Elizabeth ruled England, Old Spain together with Portugal would have carved the wealth of Americas between themselves if they could. But news such as this cannot be hid for long. It was only a matter of time the news reached the ears of the Sultan of the Ottoman Empire. “The New World shall never survive this!” exclaimed those officials who counseled the Sultan; but he had his own plate full at the moment. He did not care for the Americas or Helios. Helios was a one-camel town in his empire, which was collapsing under neglect. In a small town where the only exciting feature was the town- gate that led one out, Murcius, a young lad was dying of boredom. Day by day. He would have got out. But where to? He had no idea. Oblivious of what momentous events were being played out on the open seas Murcius tried to liven up his miserable life a little. Helios did not particularly inspire him. He thought at first Tripoli was where the action was. For his neighbor’s son, the one who worked for an Agha in Istanbul had come on leave and told him the streets anywhere in the chief city of the Ottoman Empire were paved with gold. He said, ’Murcius you ought to do something with your life.’ Murcius, young and hot blooded that he was, knew he had a sure lead. He would not waste his life with slim pickings in Tripoli. So it was to Turkey he went before the law began showing undue interest in him. He knew he could be nailed over some petty thieving done in the past. He laughed all the way to Asia Minor thinking what he had escaped. His town didn’t mean a thing. ”What a dump!” thus he dismissed the land of his fathers. He would have liked to step down in style in Istanbul but a little fracas aboard the dhow made it impossible. As a result the other passengers caught him hand and foot and threw him unceremoniously over board. They were also in that vessel for the same reason as he. ‘One less to compete with’, thought they. This incident made him realize that it was a meeting with Destiny. There was no doubt of that. He saw a great white shark, which surfaced as if out of nowhere. The murderous shark didn’t waver but made a beeline towards him and it meant business. He was a good swimmer so he gave a stiff competition to it. He was saved in time. At that moment hazily he thought, an angel had come down, to save him. Just as what that old monk in Helios had been telling. From that moment he was sold out to his belief: he was a child of Destiny!….